Mini-mil round bar indicator with 1.0% accuracy. The 9224 is a fully programmable mini-mil round bar indicator with a 1.0% accuracy. It is available in either single or dual inputs/displays and is UK defense standards tested and qualified. 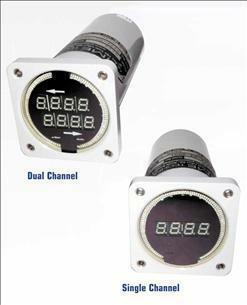 The 9224 requires no calibration and consists of a built in test, watchdog timer and external lamp test.